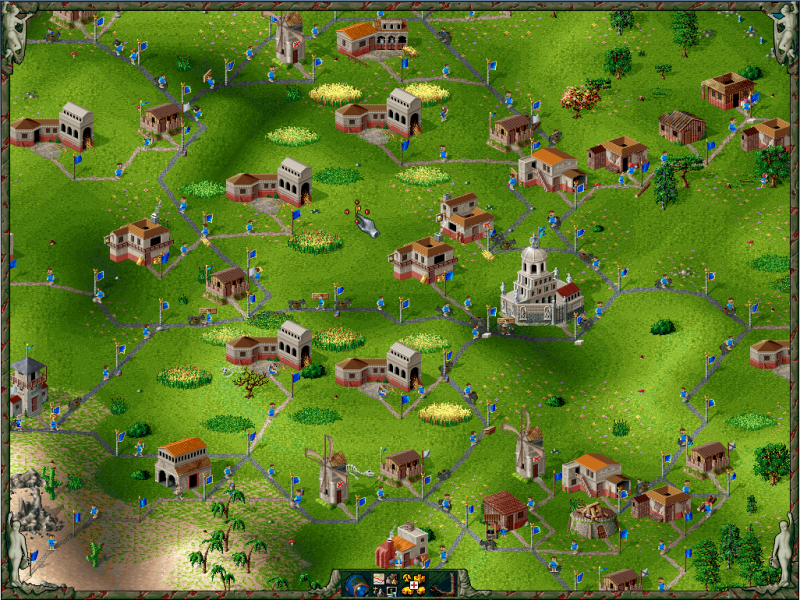 The Settlers II was one of my favorite games when I first started playing videogames as a 12-year old. And now I’ve finally beaten it, over 20 years later! 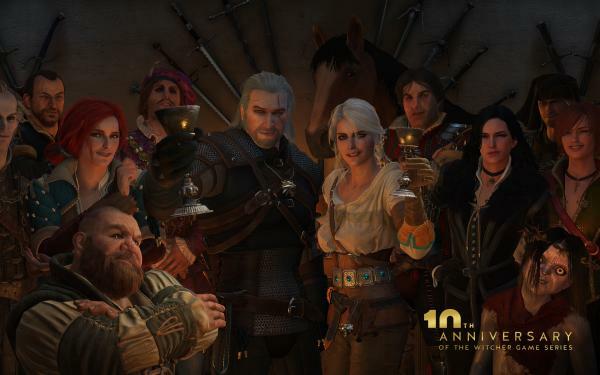 The whole thing took me about 80 hours over a whole month, and somewhat strangely I can conclude that it’s not a very interesting game anymore and I really don’t recommend it to anyone. This effort was done entirely based on nostalgia. But still. Beat it! 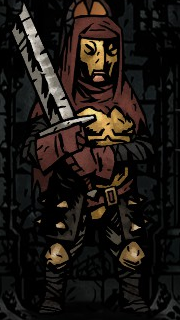 When I first got Darkest Dungeon about a year ago, I had a really hard time with it. I’m the kind of player who never uses potions and hoards all the money because “I might really need them later”. And then never using any of them even in the final fight. This became a big problem and led to me getting almost completely stuck. When I tried to get back into the game, I went to look up for advice on how to really play the game, and I learned two very important lessons. “Don’t waste money by trying to make all your characters recover immediately after a run.” I always spend almost all my money on recovery. “The most important thing is to use all your money to upgrade skills and equipment.” I never put any resources into unlocking equipment or any money into buying equipment. My reasoning was that any weapons and armor I bought would be lost when that character dies and all the money wasted. And this is the kind where it’s “when the character dies” and not “if the character dies”. But it seems leveling up a character does not actually increase the stats, or at least not in any substenntial ways. Increasing stats is done through upgrading weapons and armor. So yeah, I was trying to play the whole game with effectively level 0 characters. It explains a lot. Now that I learned my mistake I actually managed to defeat my first boss in week 81 and it’s all been so much easier from there. Now that I am no longer treading in place, I got the chance to finally fully enjoy the things other than the combat that the game has to offer. It’s actually a fairly simple game without any plot. 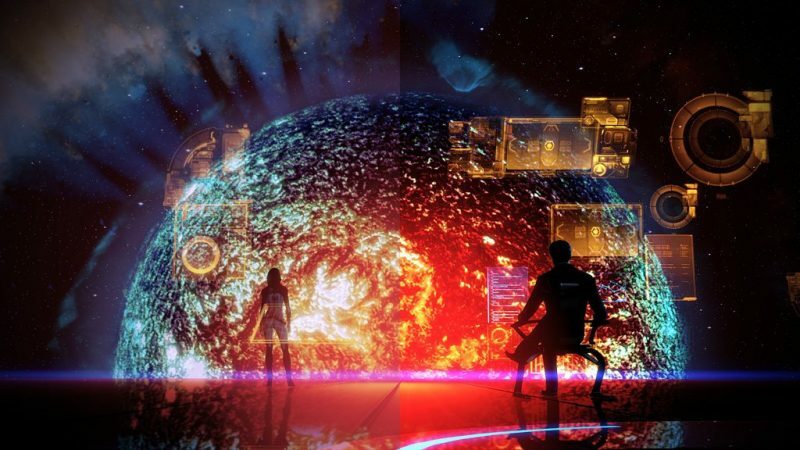 I think you could describe it as somewhere halfway between X-Com and Rogue. Pick your team of four characters from your barrack and send them into a dungeon to get money to buy upgrades and level them up, while every so often some of them die and have to be replaced with new recruits. Until at some point you can form a party powerful enough to beat the Darkest Dungeon. But a lot of praised has been heaped on the game for its presentation and I think it’s entirely justified. It looks great, and it sounds great, and it actually has some very interesting worldbuilding going on. 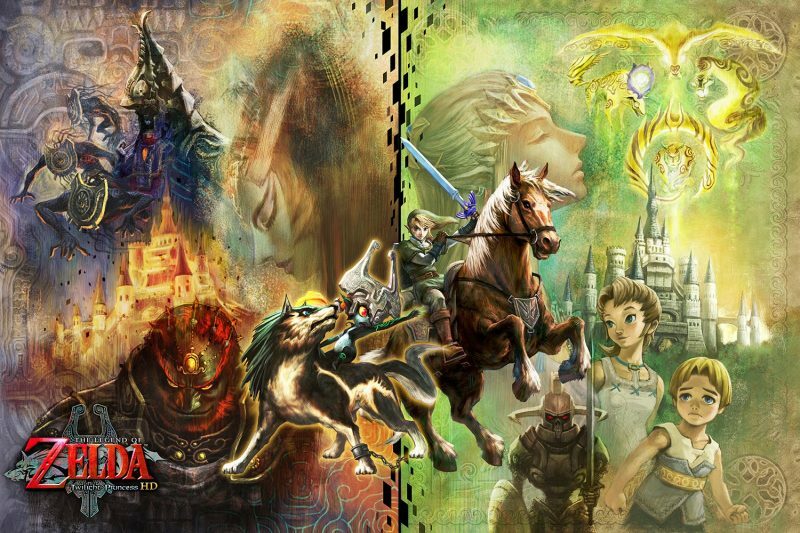 This game does not have “lore” in any way that I have discovered yet like an Elder Scrolls or Dark Souls game for example. There is no history, no characters, no places, and things like that. Instead it has the kind of worldbuilding that consists of consistent repeating imagery and symbols, and various simple rules of what is what in this world. It’s not even terribly original. It’s basically Lovecraftian Gothic Horror. But the way it’s put together is very appealing to me. There is very little substance, but it’s all so evocative that it forms into something much bigger in my mind that keeps me deeply engaged. The first story I want to share is that of Stafford Jr. After my first couple of runs through the dungeons, I recruited my first character of the Leper class. Who happened to be named Stafford. The leper is perhaps the most one dimensional class in the game. He hits really hard with his big sword and seems to have high resistances, but can’t do much else and doesn’t even hit very consistently. But when he hits, it’s massive. I really liked having Stafford in my team but unfortunately he was in my first group that got completely wiped out in an attempt to fight a boss. Every single one of them died, and it was such a grueling and epic fight that Stafford was done in by a heart attack from massive stress. It was awesome, but also sad. So when I recruited a new leper a bit later, I gave him the same brass and red armor style and renamed him to Stafford Jr. Stafford Jr. ended up becoming even cooler than his predecessor. From his descends into the maddening dungeons he gained a couple of quirks. First he decided that he would refuse any kind of stress recovery except for praying at the chappel. He also started to believe that he is possessed by demons that make him touch strange and highly dangerous things the party finds in the dungeons. It’s all randomly generated and was in no way planned by the developers. But it just so happened. A man in a decaying body covered in brass armor, who carries a massive swords and spends a lot of time in prayer at a church because he’s convinced he is possessed by demons. I normally very much support the advice that you shouldn’t put any of your characters from games into your stories, but I know I just have to use Stafford Jr. in some way. 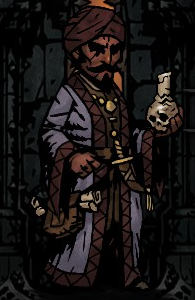 Another thing I love about the game is the Occultist, which is perhaps my favorite type of wizard I’ve ever seen in a game. An occultist was one of the very first characters I recruited in addition to my starting crusader and highwayman and I stil have him around as one of my highest level characters. Unfortunately he has a strange name that I don’t recall right now. The best thing about him, as I said, are his spells. I primarily use him as a secondary healer, using his wyrd reconstruction spell. Perhaps the oddest but also most awesome healing spell I’ve ever seen. Any time it is used, it heals between 0 to 13 points of damage, and in addition the target has a chance to suffer a bleed effect, regardless of the result. This is interesting because all his other powers consists of cursed and summoning tentacles that attack your enemies. There is no lore about this power, but it’s clearly implied that there’s some kind of barely controlled body horror going on. It can end up not healing any damage at all and even causing additional damage through bleeding, but it also has the potential to heal a lot more damage than the healing of a priestess. Or it heals a lot of damage and also causes continuing bleeding at the same time. This kind of implied worldbuilding really works for me. Similar things are going on with the environments and enemies. Again, the enemies are nothing really that new. 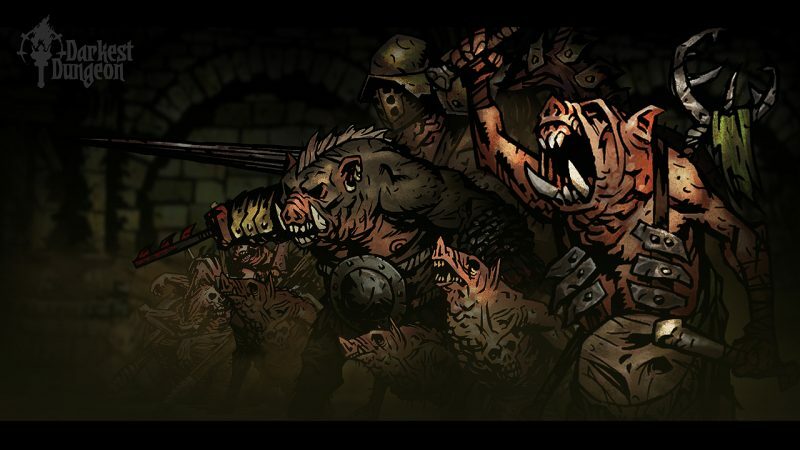 There are a lot of skeletons, bandits, and various tentacled thing, and then there are also various typed of humanoid pigs, which are encountered on runs into the Warrens, one of the four main dungeon types in the game. There’s also a normal dungeon with mostly undead, a creepy forest with bandits and mushroom men, and a watery cave with fish men and various sea creatures. Where the narrator once gave this awesome line after I successfully finished a run. This game knows where it’s roots and inspirations lie. But I find the warrens to be the most intriguing ones as the implied worldbuilding goes. Visually it’s a generic dungeon, but the majority of enemies you encounter are pig men. And the entire time you’re there, you can faintly hear them squealing in the distance. Dozens of them, maybe hundreds. Al ready a good start, but then I noticed this line from the narrator at the start of exploration missions. “War against the swine”. As far as I am aware, this is only a throwaway line with no narrative meaning. But I find it really evocative. The raids into the dungeon are a war? Somehow this makes me imagine a really different type of background story than a simple dungeon crawl to get loot and level up. It’s such a tiny thing, but it implies a much bigger and detailed world than there really is. Which I don’t consider cheating at all, but as a fan of horror techniques as really very elegant design. What you feel that probably should be there is always much more fascinating than anything you could ever actually spell out. Darkest Dungeon is really good at that, or at the very least it really manages to put out just the right hints that get my own imagination racing. I first played Diablo and StarCraft very late. Diablo a while after I had played Diablo II at its release, and StarCraft only when it was already over ten years old. I found Diablo to be somewhat simplistic but still a lot of fun playing through it once. 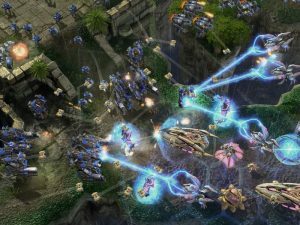 StarCraft on the other hand is an awesome game that has aged really well. It’s just as playable today as it was 20 years ago. But when StarCraft II came out, I couldn’t really get into it. I only finished the Terran campaign after the Zerg campaign was released, and I only got a third through that one before I lost any interest in the game. 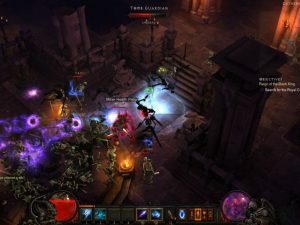 Diablo III I never really felt like playing from all I’ve seen about it before and after its release. The problem with these games for me isn’t gameplay. 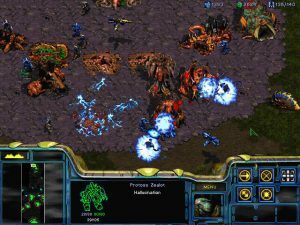 From what I can tell, gameplay in StarCraft and StarCraft II is identical. Not a fan of the main base menu and dialog cutscenes addition, but that’s something that can be breezed throught quite painlessly without disrupting the actual game much. 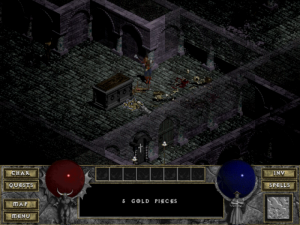 And Diablo III at least looks like it plays the same as Diablo II. 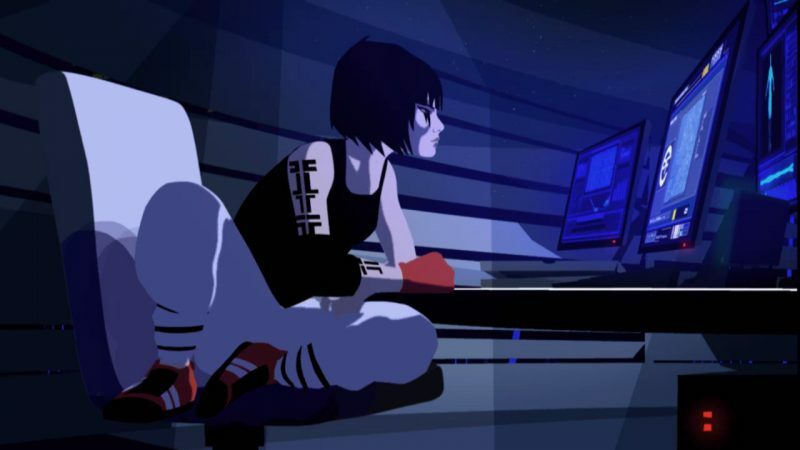 These days I’ve started to realize that the main problem I have with these games is their overall style, or perhaps more fittingly their feel. StarCraft II and Diablo III just don’t feel right. They look wrong. WarCraft III is one of my favorite games that I think I played almost every year since its release. The graphics took a bit to get used to, but for the slightly quirky fantasy setting, it worked. The same colorful cartoony style isn’t working for StarCraft and Diablo. WarCraft has always been colorful, but these two had graphics that were grainy and dominated by washed out grays and browns. I wouldn’t say they are pretty, and in fact I’d even say they are kind of ugly looking. 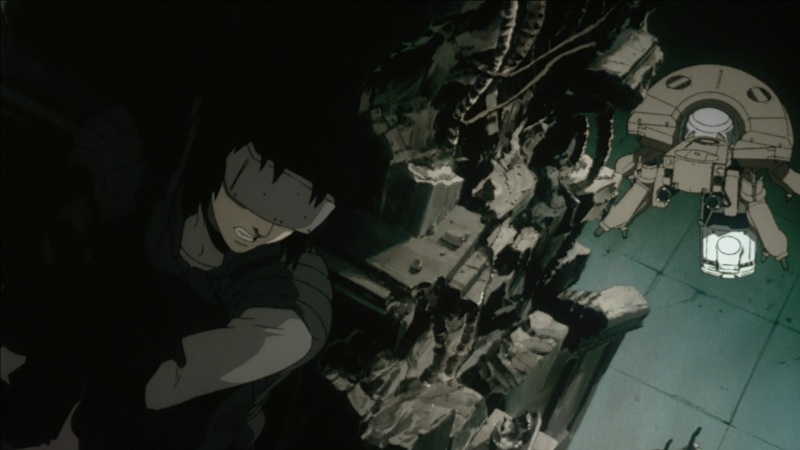 But the games had a clear visual style that is matching perfectly with their dark themes and stories. The new cartoony laser beam spectacle creates a feel and overall style that is quite different from the older games. 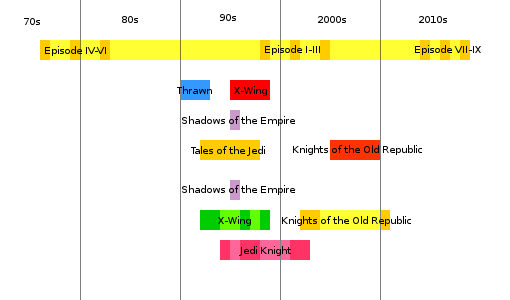 It’s hard to say which one came first, but the new graphics are matching the new tone of the stories. Blizard games have always been somewhat pulpy, but Diablo and StarCraft were very earnest at being grim and gritty. 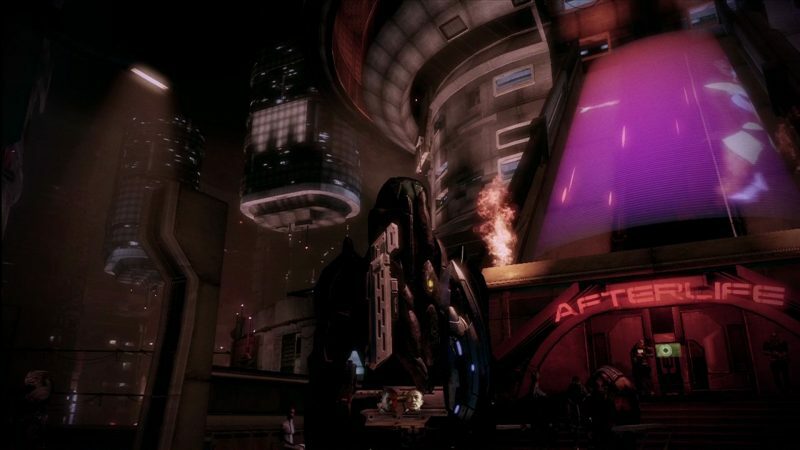 The cutscenes in the first Terran campaign had some campy humor to them, but that quickly disappeared as the story progressed. WarCraft III on the other hand is overly dramtic, but at least in a somewhat charming campy way. But in these recent games, this aspect is lacking. Instead of being more sedate, the stories and cutscenes turned out to the point of being cheesy. Overall this leads to a completely different appearance, in which drama and spectacle take center stage and genuine gloom and bleakness are thrown out the window.